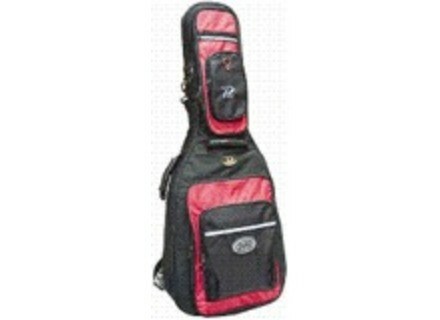 PRCB 906, Guitar Case/Bag from Profile. Profile has launched their newest line of guitar gig bags, the 906 series, including 4 models for electric guitars, bass guitars, and acoustic guitars. The 906 series bags are made of a heavy Cordova fabric with padded back support and 1" internal foam padding. The 906 Guitar Bags include a repositionable padded neck support with Velcro locking strap, five pouches to hold sheet music, books, guitar cable, I-Pod or cell phone, 2 rubberized carrying handles, external reflector strips, and padded shoulder straps. A hanging loop on the back is useful when travelling. Basone Guitars Phoenix Basone Guitars has released two Basone Phoenix models, which they describe as their new production line of electrics. [NAMM] Ministar Guitars Castar The new Castar features Maple thru construction with a Mahogany stain finish, Rosewood 21 fret fingerboard, and 25.5” scale neck. [NAMM] Jay Turser Fireburst JT-55 Jay Turser has launched the new JT-55 double cutaway guitar.